Local photographer and sloth lover Candace Tarkeshian will travel to the Costa Rica Sloth Sanctuary in April to serve as the artist in residence. Tarkeshian will photograph the sloths for a book, and film a documentary (anythingbutslothful.weebly.com). 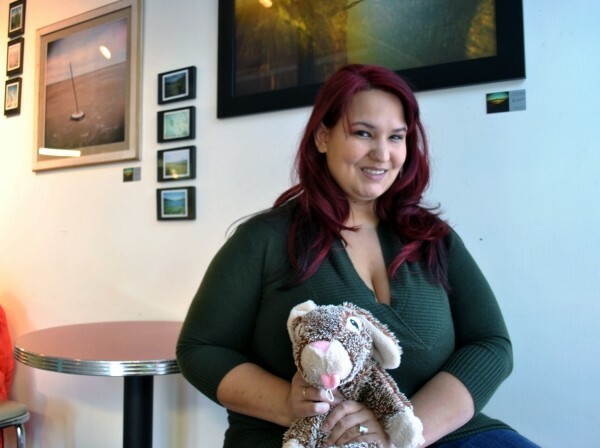 She’s raising money for supplies through a Kickstarter campaign, as well as a benefit concert (Sunset Coffee, 7978 S. 1300 East, Sandy, March 9, 7 p.m., $5 at the door/$3 with a kitchen sponge, floppy stuffed animal or other item for the care of the sloths). In late December, Animal Planet debuted a program called Too Cute! Baby Sloths about the world’s only sloth sanctuary, located in Costa Rica. I fell in love with the idea of this magical sloth dwelling—there are between 140 and 200 sloths there. The idea that really connected me to this is that so many of these sloths are orphans. I’m adopted. And so to see that this is something that’s creating a new life, creating a safe place, that was huge for me. What inspired your documentary plans? It evolved out of the photo project, which was originally to go down to Costa Rica, take some pictures of sloths, bring them back up here, use them for educational purposes. The more I started to get into this, the more I started to prepare, I realized there’s a bigger story down there. I got into this because of the Animal Planet special—it was this cute, adorable fuzzy thing, but it didn’t cover any of the people down there, or any of the risks. I’m going to be vaccinated for typhoid, and I’ve been told that I’m probably going to get very sick. I was told that I would need to adjust my flight so I wouldn’t arrive at night, because we can’t travel to the sanctuary under the cover of darkness, because it’s too dangerous. It is a three-hour drive to the nearest city, so if something goes wrong out there, it goes very wrong. It was that sort of thing that made me think there has to be something bigger there. There’s a lot of poaching going on. I was like, “Why would you poach a sloth? I’ve never seen a sloth coat or boots; it doesn’t make any sense to me.” It’s based on tourism, which is horrifying. By going into a port town and having their photo taken with a baby sloth, tourists are reinforcing this idea of, “Well, we’re poor, we’re starving, what we’ll do is we’ll go out into the forest, kill the mother sloth and take the baby, and then use it so that these tourists will pay us money.” In my research, I found some people who fully admit that they will sell sloths on the black market to Americans who are about to come home who think they can bring one home as a pet, knowing [the tourists] will get stopped at customs. They can then take that sloth back and continue the trade. A lot of work. Because I am my own film crew, I’m investing in some small blogger cameras that I can station throughout the sanctuary while I’m working. We’ll see if a second trip is warranted after the first one. I have a shooting schedule that is very unforgiving. I’m also going to be doing things in the kitchen, preparing food for the sloths, I’m going to be bathing them, doing some educational things. The only sloth hospital in the world is down there, too. What has the reaction been from your family and the public? The response has been overwhelmingly positive. I didn’t think so many people would have any response whatsoever. The first few things I heard were from my family, going to the big Utah extended-family Sunday-dinner thing. Putting it out to those guys was my safety feature; if I can handle whatever questions those guys have, I’m good to go, I can do this. I had a couple of uncles saying, “You’re going to do what? You’re going to go where? You’re going 3,000 miles away from your family—your young children, your husband—to take pictures of sloths?” Seeing how adamant I was about it really brought them around.